(1) Our family of three flew back from California Sunday afternoon. 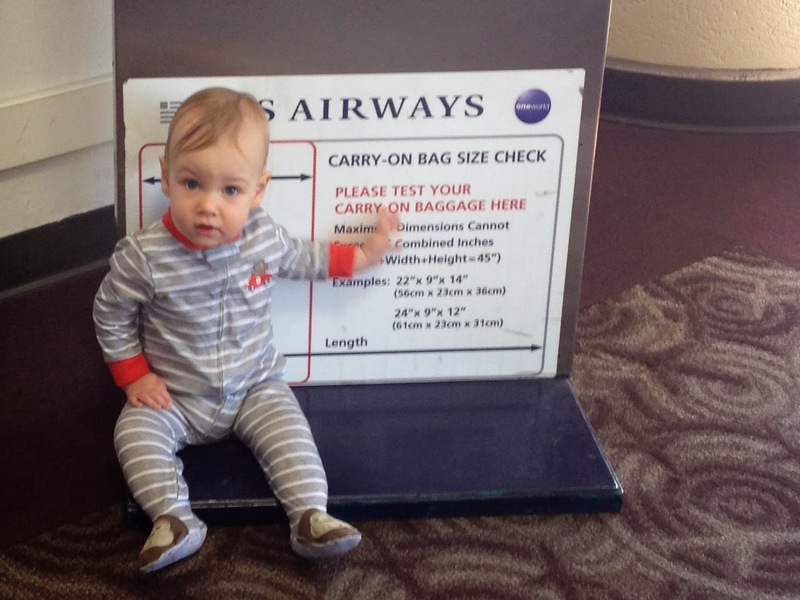 We spent our wait-time having fun comparing our son to carry-on baggage. 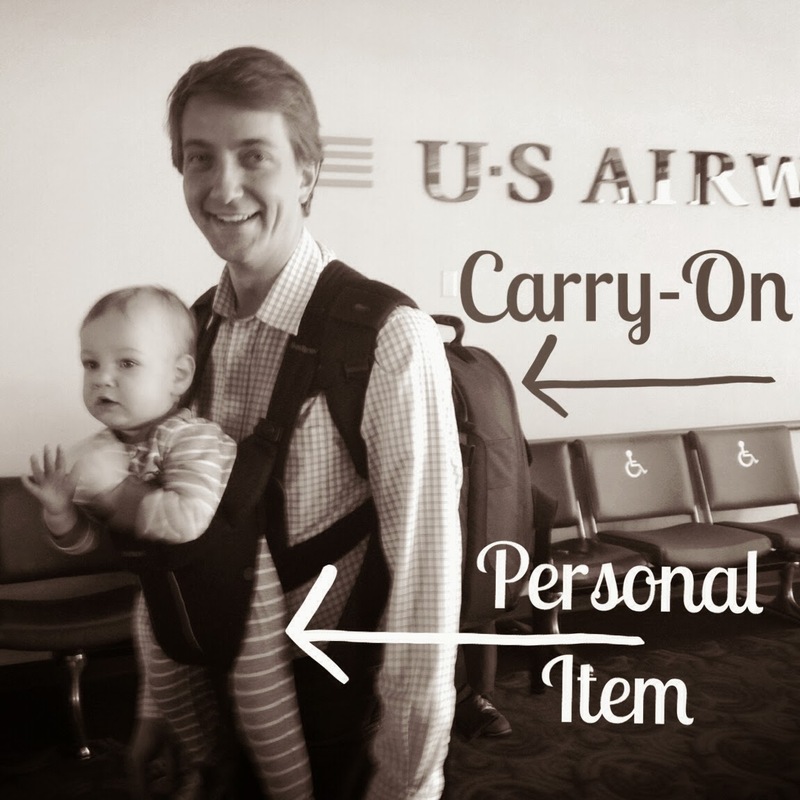 We crack up every time we hear announcements reminding passengers they are allowed one carry-on and one personal item. 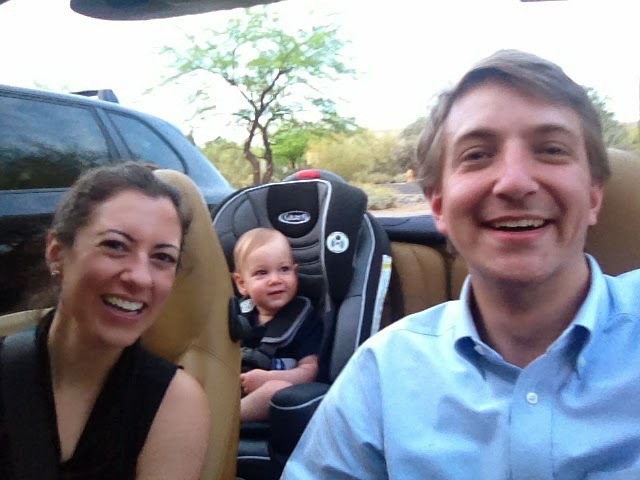 (2) Max took off on a business trip that next morning, and Parker and I took off for our Boys Club outing to the Phoenix Zoo! It was Parker's first time there. 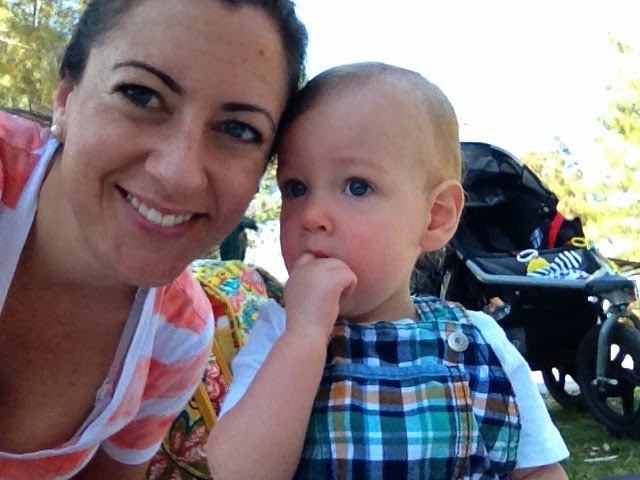 We enjoyed a picnic lunch with the other babies and moms. I realized that Parker and I were stroller-less on the way there (we had taken his BabyJogger out of Pepper to fit our suitcases for California and I totally forgot it wasn't in there!). 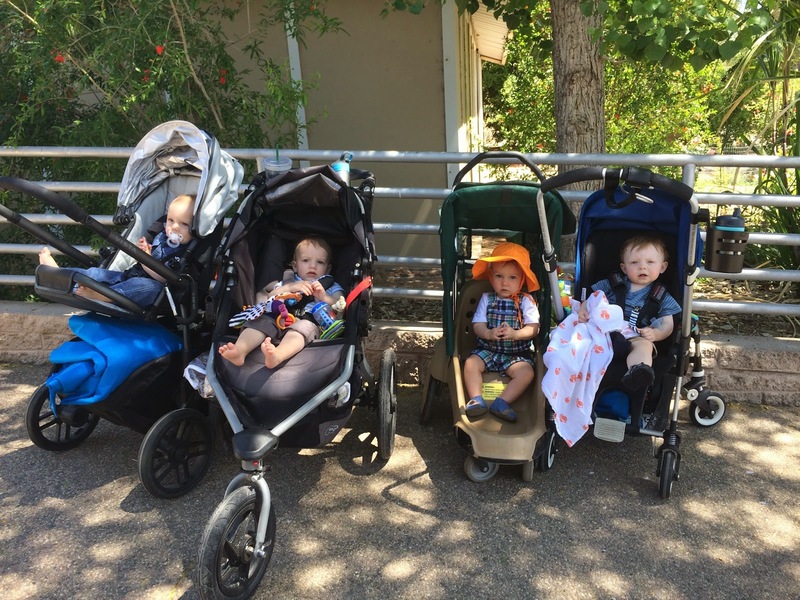 Luckily, my sweet mom friends found out that the zoo offered strollers for rent. 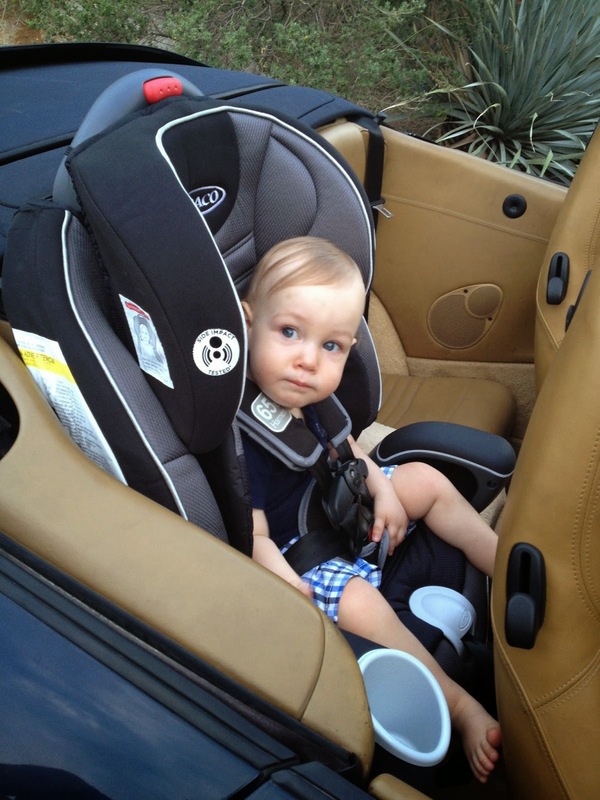 Parker even seemed to like it! 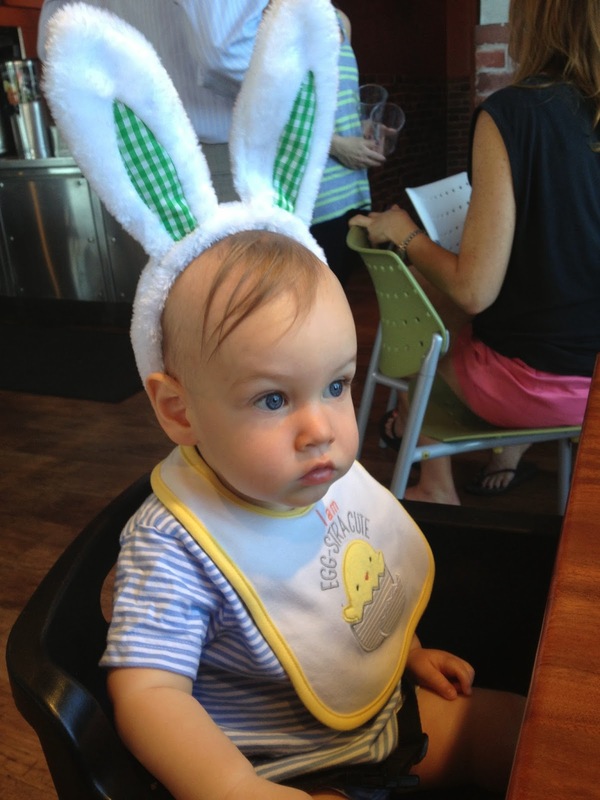 (3) Parker and I kept busy while daddy was away. Here we are out on a lunch date with my wonderful friend Alyssa (of Cuteology Cakes). She spoils Parker rotten and brought him the cutest Easter basket full of goodies! Thank you, Miss Alyssa! 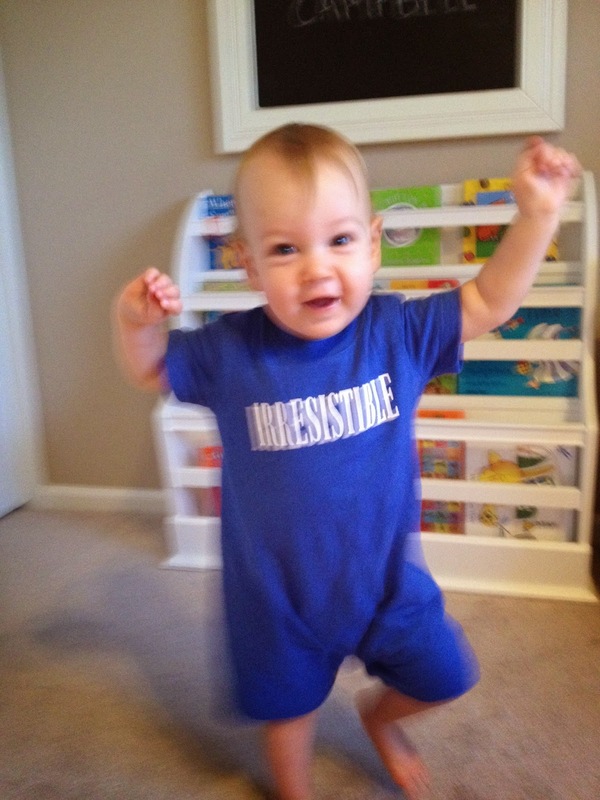 (4) Little man kept me on my toes during all his waking hours. He has officially graduated to walker/toddler. Seeing him move with his hands high in the air gets me every time! I love it! 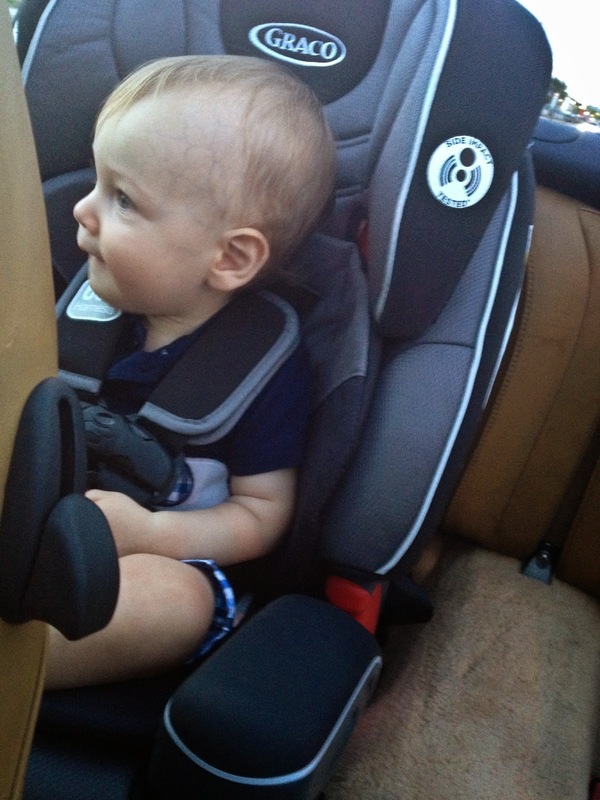 He quickly warmed up to it though, once we got going. Looking forward to many more trips in Sandy!